An under-construction condo building surrounded by houses and condo towers in the distance in Vancouver on Mar. 30, 2018. Vancouver’s incoming mayor has promised to tackle the city’s housing crisis by ensuring that 2,500 apartments are built annually for the next 10 years that will be rented below normal market rates. But Kennedy Stewart is facing hurdles in every direction when it comes to accomplishing that goal, which also bears a promise that another 6,000 homes a year will be built for renters and owners paying market rates. The region’s builders say they are already grappling with spiraling construction, financing and land costs, making projects more risky all the time. Developers are hesitating to proceed with rental projects because of recent changes to provincial rent-control policy that reduce the allowable yearly increases. And Mr. Stewart will have to steer anything he does through a divided council, where his presumed allies on the left may insist on tough new deals with developers that require them to provide some low-cost units if they want permission to build anything at all. As well, some on the four-party council will also insist that the public be consulted extensively before any extra density is granted to builders as a way of lowering prices for renters. “In general, we’ve been questioning these ambitious targets,” said Jon Stovell, the head of the development company Reliance Properties and the board chair of the Urban Development Institute, which represents dozens of builders in the region. He estimates that even if a developer got free land for a project, the basic construction and financing cost of a modest, 600-square-foot unit comes out to about $430,000. For an owner to make minimal profit on that unit, they would have to charge $1,800 a month rent. 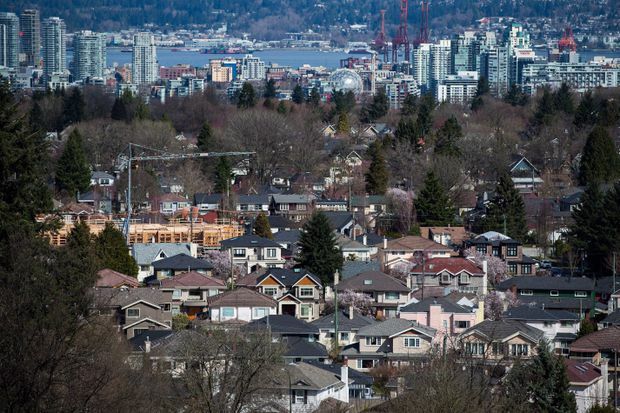 But the newly elected councillors from Vancouver’s progressive parties want to see rents that are affordable – usually defined as 30 per cent of household income – for people making median wages or less. In the City of Vancouver, the median household income is $65,327. For two-or-more person households, it rises to $89,207. So the maximum rents for those households, using the 30-per-cent rule, would have to be no more than $1,630 overall, and no more than $2,230 for larger households. But most apartments should be rented for less than that to fit the income profile of Vancouver’s population. The Green Party is going to push for developers to be required to make half of everything they build available at below-market rates. “I think it’s achievable, but it’s only achievable if we ask differently of developers,” said Councillor Adriane Carr. She pointed to the Whistler Housing Authority as a model that she said has achieved the 50-per-cent goal. And she said that more low-cost housing could be achieved by expanding on the province’s temporary modular housing initiative, which provided money for projects that consisted of stacked trailer-type units. Ms. Carr said that, if it turns out extra density is what’s needed to lower prices in apartment projects, there will need to be a lot of consultation with existing residents. A newly elected councillor from another party on the left, Jean Swanson of the Coalition of Progressive Electors, doesn’t think any of those strategies – or Mr. Stewart’s overall plan – will work. “The problem I see is that he doesn’t have a source of revenue,” said Ms. Swanson. Her party had proposed still more taxes on “mansions,” on top of the school tax the province has already imposed on homes worth more than $3-million. But Mr. Stewart didn’t say anything like that in his campaign, pledging only to triple the current 1-per-cent tax that has been added to empty homes. Ms. Swanson said she is not going to support any project that doesn’t bring rents down by a well-defined and significant amount.